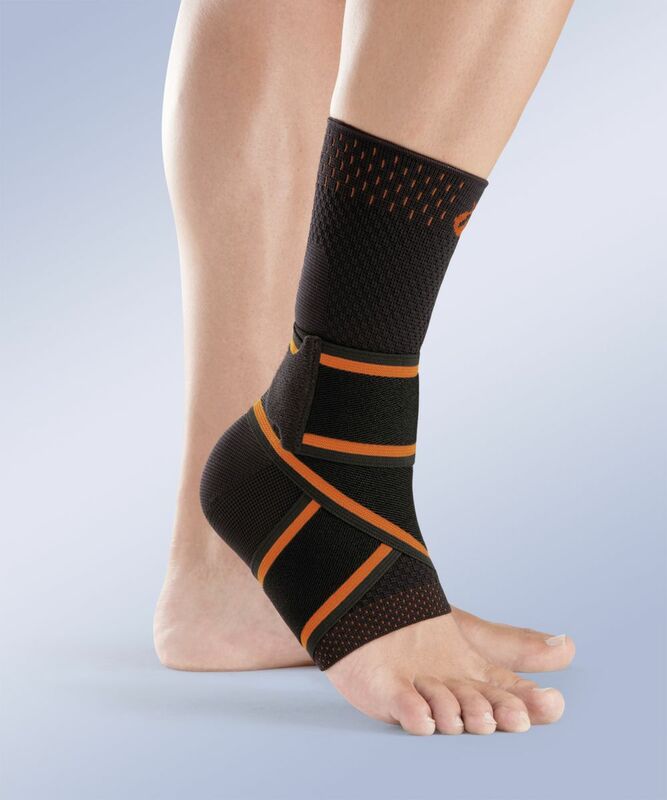 Sock-type ankle support of soft and highly resistant elastic material. Sock-type ankle support of soft and highly resistant elastic material and figure-of-eight elastic band. Indications: Minor injuries, Luxations, As a precaution during sports activities. Size: 1 (cm), 2 (19-20 cm), 3 (20-23 cm), 4 (23-25 cm), 5 (>25 cm). Ankle circumference in cm.